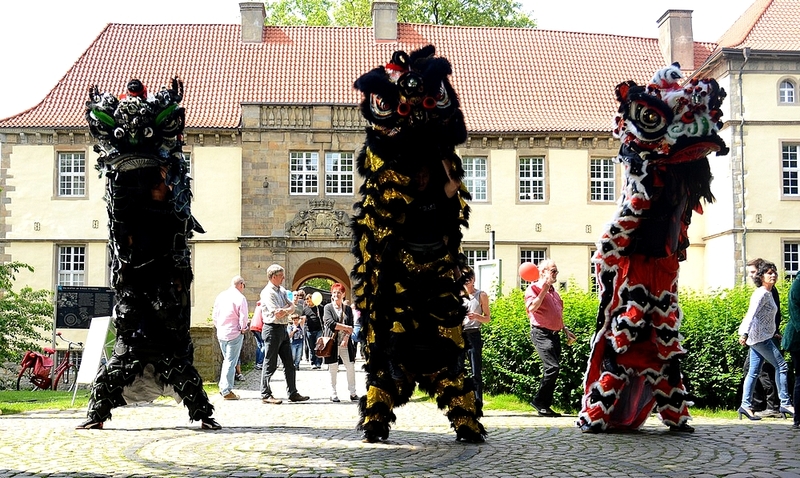 Christian Kubiak led his Lion Dance team, on the 11th of June, to perform at the Herne annual community culture festival. This year being the 8th year of the culture festival saw Chritsians Lion dance team perform Traditional Foshan style Lion dance as part of the community event. The team were able to bring 3 Lions to entertain and delight the viewing public with thier energetic, loud and colourful performance. A great credit to Christian and his team for all their ongoing hard work promoting Traditional Chinense Martial Arts and culture in thier local town.